Home » How To » How To Choose The Right “Convert Mode” In PDF To Word/Excel Conversion? 1). Convert Normal PDF file – You can convert as many normal PDFs as you want once you are a registered user, it won’t charge you extra fees except a one-time lifetime license which is $29.95. 2). Convert Scanned PDFs or image-based PDFs – In order to convert scanned PDFs or image-based PDFs to editable Word/Excel files, you need to purchase a full license as well as “OCR pages” you may use, you will be charged based on pages of scanned PDFs you want to convert. 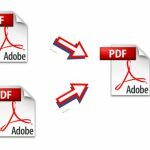 How to tell if the PDF file is normal PDF or scanned PDF? The easy way to check if the PDF file is normal or scanned/image-based is to select any an area from the PDF page, if the text can be selected or copied, then it’s a normal PDF, otherwise, it means the PDF is scanned or image-based. A). Edit Priority (For Normal PDF) – this is the default option used for normal PDF to word/excel conversion, we recommend you to use this option for converting normal PDFs to Word/Excel files. B). Format Priority (For Normal PDF) – this is the second option used for normal PDF to word/Excel conversion, you can try to use this mode for converting normal PDF to word/Excel document if the quality of output Word file is not as good as expected after you tried the “Edit Priority” mode. A). OCR ( For Scanned PDF) – With the advanced OCR technology, you can easily convert scanned PDF to editable Word/Excel file, you will be charged by pages you try to convert if you use this mode. Note: OCR mode also can be used to convert normal PDF in case that the other two modes don’t meet your requirements.